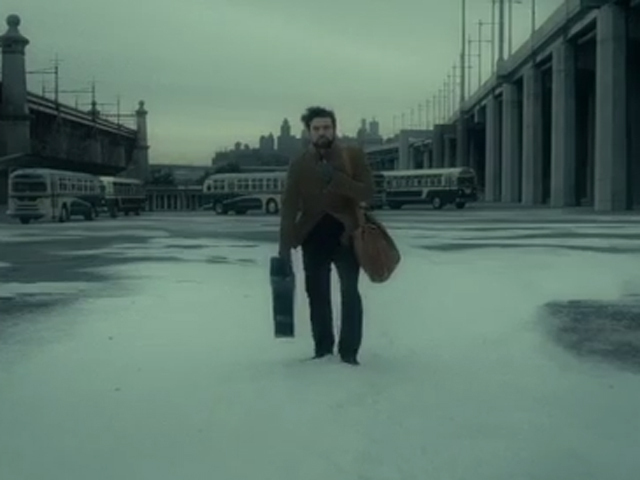 Watch: New trailer for Coen brothers' "Inside Llewyn Davis"
We get a closer glimpse at the upcoming Coen brothers' film "Inside Llewyn Davis" with the new trailer, released on Monday. Written and directed by Ethan and Joel Coen, "Inside Llewyn Davis" follows a young folk singer as he tries to make it New York's Greenwich Village scene in the early '60s. Actor Oscar Isaac plays the title role and stars alongside Carey Mulligan, John Goodman, Garrett Hedlund and Justin Timberlake. In the new trailer, we hear Marcus Mumford's cover of "Fare Thee Well" and watch as Isaac's character struggles through a harsh New York City winter, trying to make a living as a musician. At one point a frustrated Llewyn Davis says, "There was no advance on my solo record. There's got to be some royalty!" The movie's soundtrack is due Sept. 17, featuring Timberlake, Punch Brothers and Bob Dylan. The film, set for release by CBS Films, will hit theaters on Dec. 6.